Where do we start with our remarkable and inspirational Brand Ambassador, Alex Staniforth? Coping with debilitating adversity that included intense bullying, epilepsy, an eating disorder and a severe stammer from his teenage years, Alex used the outdoors as his respite. From walks with his parents in the Lake District (his second home!) through to conquering Europe’s highest mountain, Mont Blanc at the age of 16, Alex’s story is quite unique. He has made two attempts to climb Mount Everest in 2014 and 2015. The latter nearly costing Alex his life, surviving an avalanche whilst negotiating the treacherous Khumbu Icefall triggered by the devastating earthquake that hit Nepal. This dreadful event cost so many people their lives , including three from his own expedition team. Author of a critically acclaimed and award winning book ‘Icefall’, Alex has continually defied the odds. 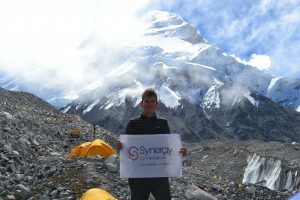 From being an Olympic torch bearer at the 2012 London Olympics to becoming a ‘Pride of Britain’ and ‘Just Giving’ award winner in 2017 for his incredible Climb the UK (CTUK) solo challenge, there are too many separate individual recognition awards that our Brand Amassador has achieved to mention. 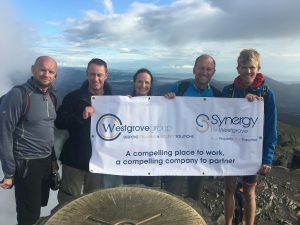 Alex has raised over £100,000 for his nominated charities and Westgrove have been privileged to have supported Alex throughout his inspiring journey. 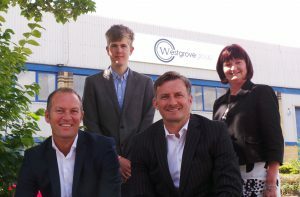 Mentored by our Group Chairman and Co Founder, Steve Fives, Alex has undertaken many courageous motivational talks within Westgrove’s unique Colleague and Partner community. The feedback has been quite outstanding. Alex’s “ What’s your Everest?” personal goal setting mantra resonates with “the young, the wise, and those that haven’t yet tried”.